We went with Cepac small subway tiles in Vintage Moss Green (I found them online for almost half of what I could get locally.) The border is Cepac mosaic tiles in Abalone. 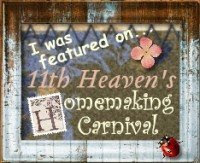 I did find them locally for a decent price, and it didn't take much to do the border because they came in 12 x 12 squares that I cut into strips. 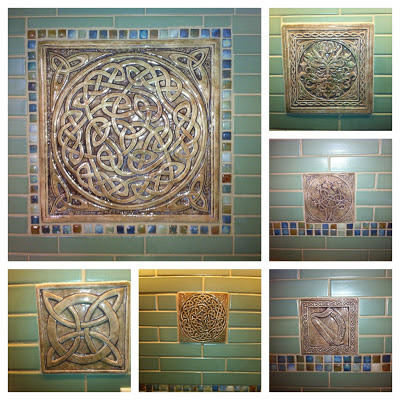 The beautiful handmade Celtic tiles I ordered from Earth Song Tiles. They were so nice and I even sent them samples of my tiles first so they could tell me what colors would look best with them. I think the hardest part of tiling is picking the tile! Now on to painting the hallway and living room! Really looks beautiful! You did an incredible job on the tile and I love your kitchen counters. Everything looks like it's coming along nicely! It looks amazing! 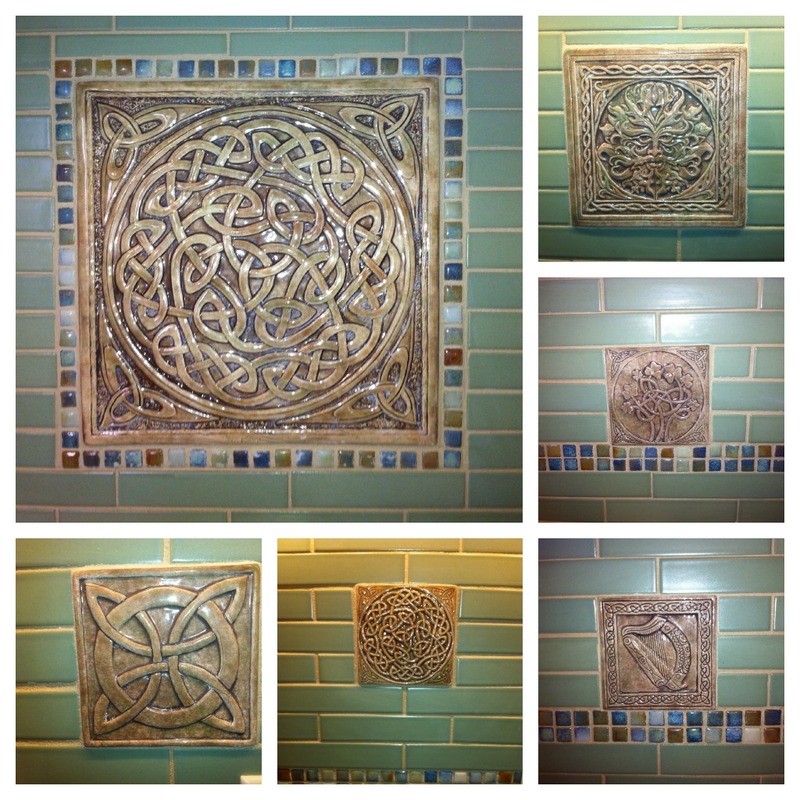 I love your tile choices... and I have enjoyed seeing it coming together slowly!